Historic photos were matched with current location images. Some of the buildings remain. Many of the sites have changed drastically. Below are a few of the examples. 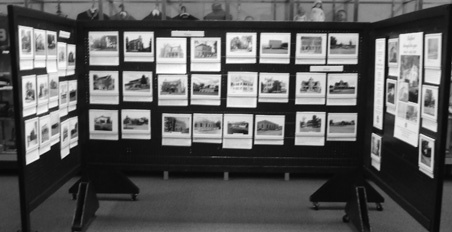 The exhibit included numerous images from Bedford's near downtown area. The public square images drew a lot of attention from museum goers.